PENRYN — Placer Buddhist Church, 3192 Boyington Rd. in Penryn, will hold its Obon Odori on Saturday, Aug. 6. Dharma School will set up its shaved ice, bottled water and soda booth at 4 p.m. as part of its fundraising efforts. 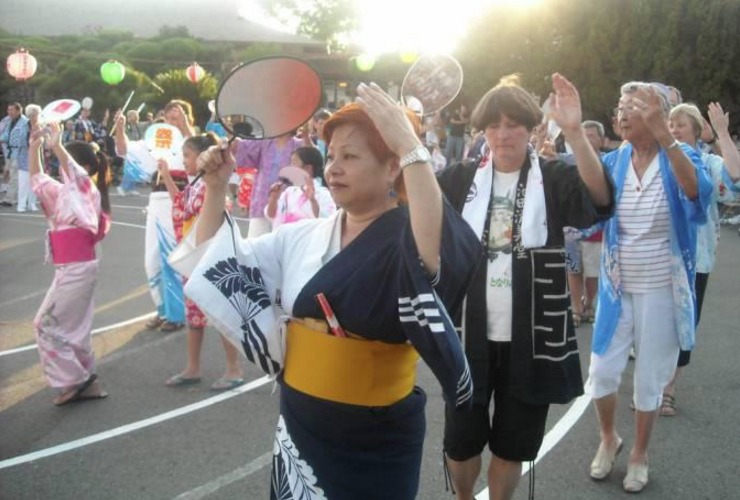 Udon will be sold from 5 to 7 p.m.
Obon dancing will begin at 7 p.m. The last dance practice will be held on Friday, Aug. 5, from 7 to 9 p.m.
Also on Saturday, Auburn Cemetery service will be held at 8 a.m., Newcastle Cemetery service at 9 a.m., and Rocklin Cemetery service at 10 a.m. Obon, Hatsubon and monthly memorial service, with guest speakers Revs. Bob and Patti Oshita, starts at 11 a.m., followed by lunch. SAVE THE DATE: Placer Buddhist Church’s 52nd annual Fall Food Festival will take place on Saturday, Sept. 24, from 11 a.m. to 5 p.m. and Sunday, Sept. 25, from 11 a.m. to 4 p.m.
For more information, call (916) 652-6139 or visit www.placerbuddhistchurch.org.